For sale! Is a – mostly – monthly feature on Automotive Views focusing on cars available for purchase in Europe. None of the ads selected are featured in this blog due to any kind of sponsorship by the sellers. 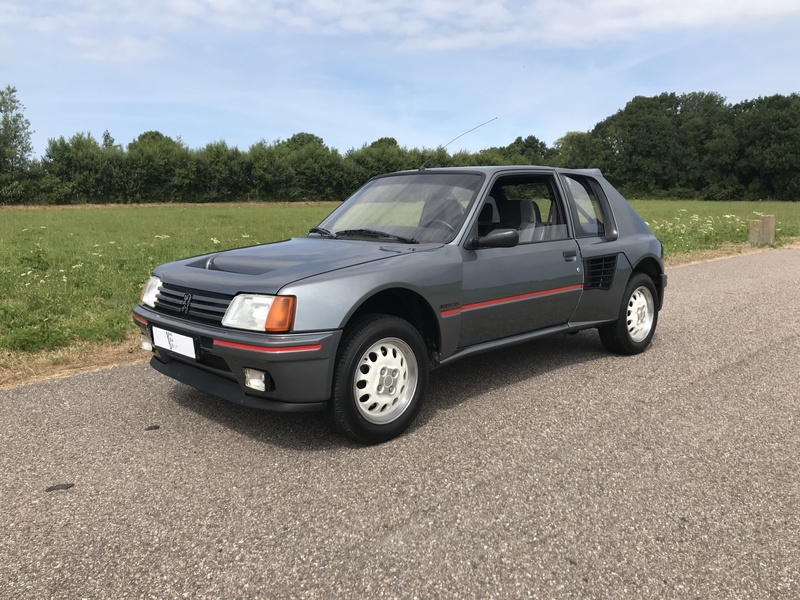 The Peugeot 205 is a deeply beloved car in France and Southern Europe. It was a sales success, a cheap easy to live with machine with a wide range of trim levels and motorizations. In its sportiest incarnations it was also a pretty damn fun car to throw around corners. If the GTi variation is the folk hero of the 205 lineup, the T16 is the undisputed king of it. Peugeot wanted to take the 205 rallying and that meant homologation. 200 T16s had to be made in order for the car to be able to race in the totally bonkers group B; the company easily achieved its goal and the T16 went on to have an illustrious WRC career spanning 3 years, 2 model evolutions and 16 victories in the circuit, also taking home the 1985 and 1986 Constructors and Drivers titles. When Group B was outlawed, Peugeot just slapped a bigger tank on it, made a couple of changes and took the T16 to the Paris Dakar instead. Road going T16s are incredibly rare and tremendously expensive. In their finer, most pristine forms, they’re a quarter of a million Euros hatchback. Are they worth it? For sure. Another Group B alumnus, the 240 RS was just a pretty badass looking variation of the S110 Silvia. With under 300 hp, the 240 RS was never a real top dog in the WRC, but that doesn’t mean it wasn’t a decent race car. 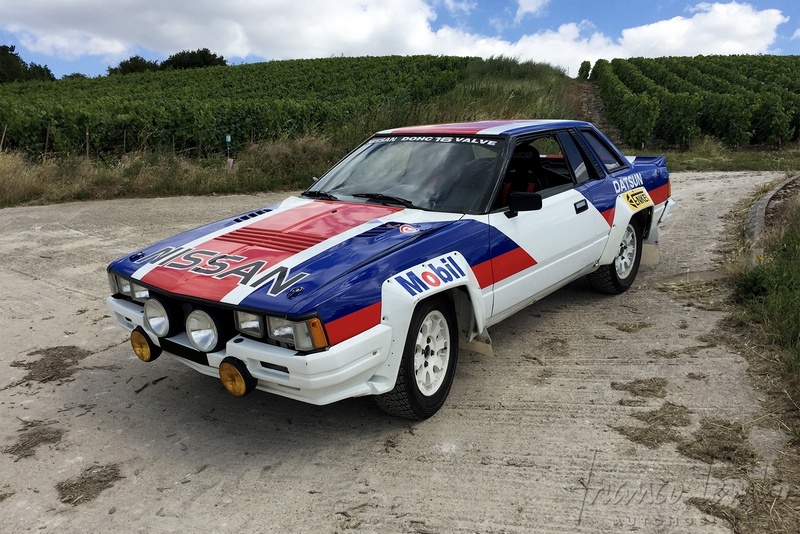 Reliability was its strong suit and privateers really took a shine to it because of this highly desirable, rare attribute in a rally car, especially one of this period. Today it still looks as good as it did back in the 80’s, with its enormous squared up wheel arches giving it a tough, muscular look. The example being offered for sale is the real deal, having participated in the Acropolis Rally from 83 to 87. Aston and Zagato have had a long, fruitful relationship, one which continues today. 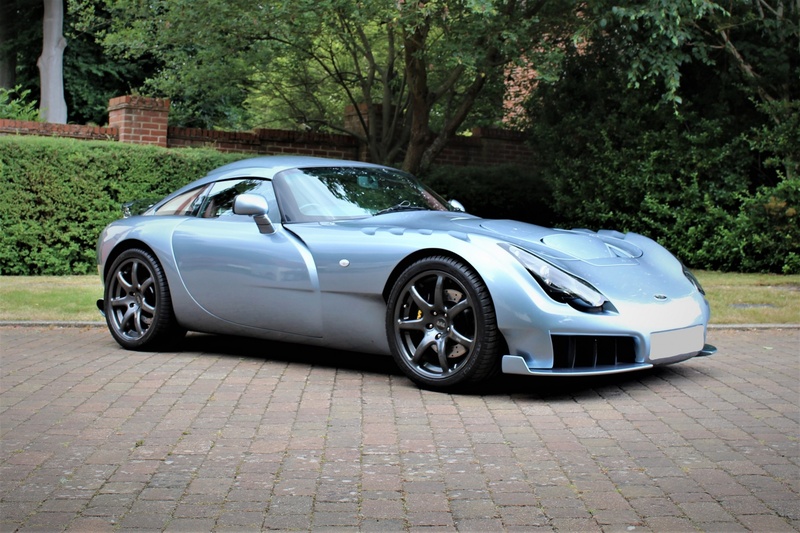 The wonderful marriage of British charm and Italian exuberance has produced some very striking, very interesting offspring, one of which is this: the V8 Zagato. 52 coupes were made and they were pricey…real pricey. Despite the controversial looks with its straight angles and boxy physique, the V8 Zagato had no trouble finding owners. 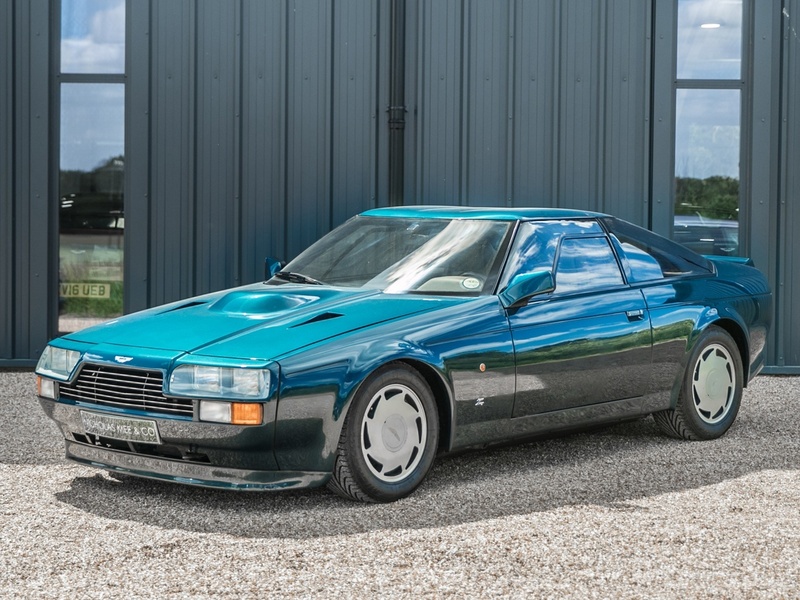 The outside might have been modern, but the heart of the thing was a time tested Vantage X-Pack transplant. Unique looking, rare and still highly desirable, these cars usually find their prices well North of 600 grand (U.S.). For Sale in the U.K.
A symphony of luxury and elegance, the Brooklands is Cricklewood inspired philosophy with VW engineering. It’s enormous, it’s beautiful and it’s made to devour great distances without breaking a sweat. 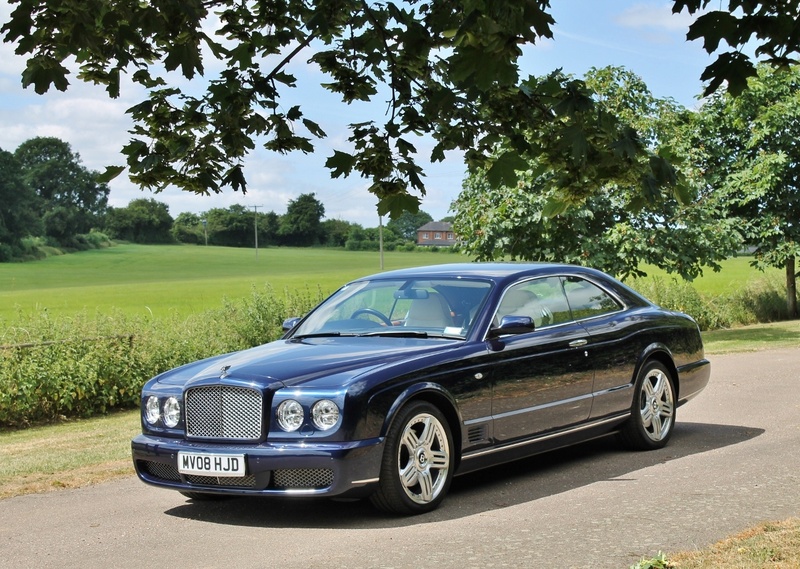 It is a Grand Tourer in the simplest sense of the name. Powerful for sure, but it doesn’t have the agility of the GT, not by a long shot. There’s no pretension of handling sportiness to it…the power is delivered as a means to get you somewhere fast, not as a gimmick to thrill you along the way there. The Brooklands’ goal is to isolate its passengers from the rest of the common, busy, overcrowded world. It’s more than happy being an extremely luxurious living room on wheels with the power to easily overtake almost anything else on the motorway. You’d be pressed to find a cooler car than a suffix A Range Rover. Sure, they might not be the fastest, most comfortable, most reliable classic SUV you can buy, but it is certainly the prettiest, the most capable and the most charismatic. Now, there are a million different things to be concerned about when considering one of these, but there’s a lot to love as well. Take the original Range Rover’s go anywhere, do anything attitude very serious. Yes, it will squeak and rattle; yes, it will get rusty but still, it will always be the most practical piece of art you’ll ever own and just like any other art object, it will move you every single time you look at it. TVRs are a little nuts. Their main concern is to throw you in a ditch asap. That being said, they’re also a whole lot of fun and they are fantastic looking things. They’re the kind of car that appeals to your inner teenager. That is certainly the case with the Sagaris. The dramatic looks, the sideways exhausts, the roof bubble…everything is designed to appeal to a part of you which went dormant since about when That 70’s Show went off the air. 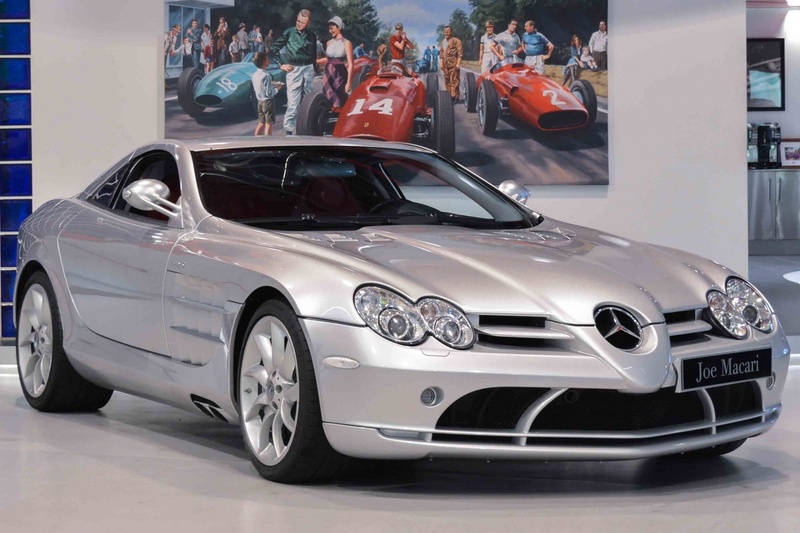 The most misunderstood car of its period, the SLR also happens be the most technically impressive and most reliable. A lot of people went after this car like wolves and worked really hard to shoehorn it into categories it didn’t really belong. In doing so, the SLR ended up suffering reputation-wise. Mercedes made about half as many as it wanted to make at debut due to slow sales. Most of the press pushed for an Enzo/Carrera GT comparison when the SLR couldn’t be more different than those two; something with – then – super car power, yes, but with much more of a Grand Tourer aptitude. It’s heavy, it looks kinda funny, and it was crucified for having an automatic…yet, the brakes are ferociously efficient, it can take a beating all day long, the build quality is fantastic, there’s a proper trunk on it, the ride height isn’t ridiculous and you’ll never feel like it needs more power…it’s simply and incredibly stable, user friendly super coupe. We usually don’t feature this kind of build here on AV but damn, this thing looks tight. Although there’s a lot to say about taking a classic Pantera and do this deep of a transformation on it, we can’t argue that the aesthetic is spot on and the build quality looks to be at an exemplary level. Unlike many builds of this nature, the interior isn’t gutted for the sake of the race look, there was clear care and thought towards placement of instruments and buttons, towards organization. It’s impressive. 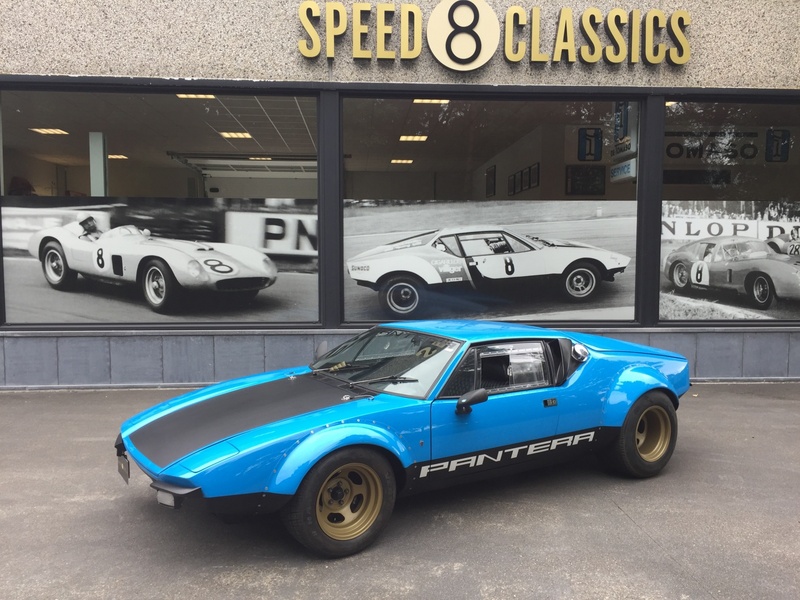 If you’re a Group 4 enthusiast or you just like the looks, this Pantera will check all the boxes for you. It’s not a new concept and there’s nothing revolutionary about it, it’s simply a look and a feel which have been perfectly nailed and that in itself is increasingly rare.